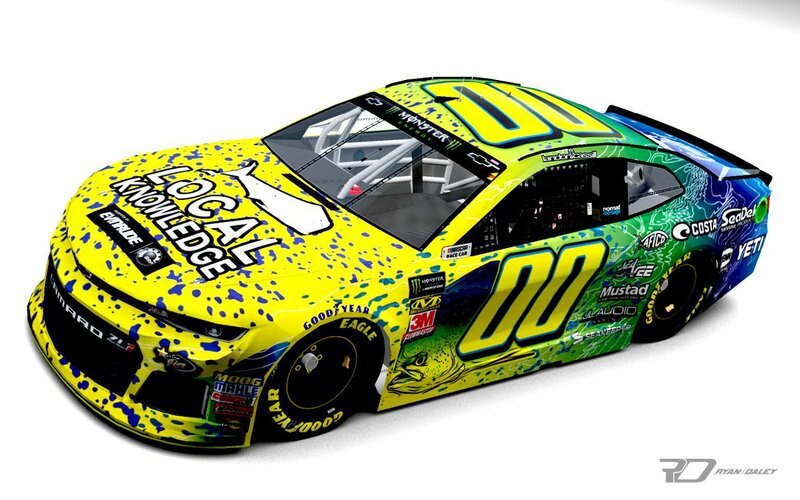 Landon Cassill#00 Local Knowledge Mahi Chevy Camaro-The mahi is an amazing looking fish, but it does NOT translate well to the side of a race car. 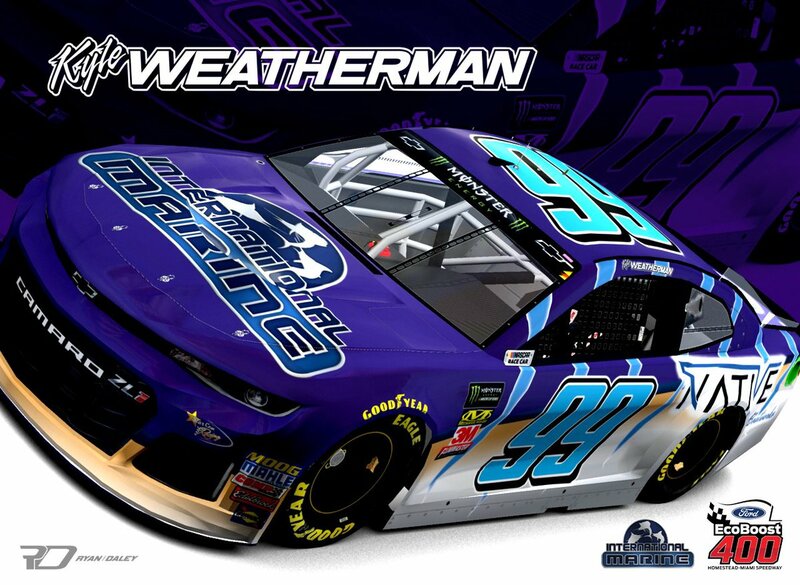 The car is over designed, and it looks like a mess. 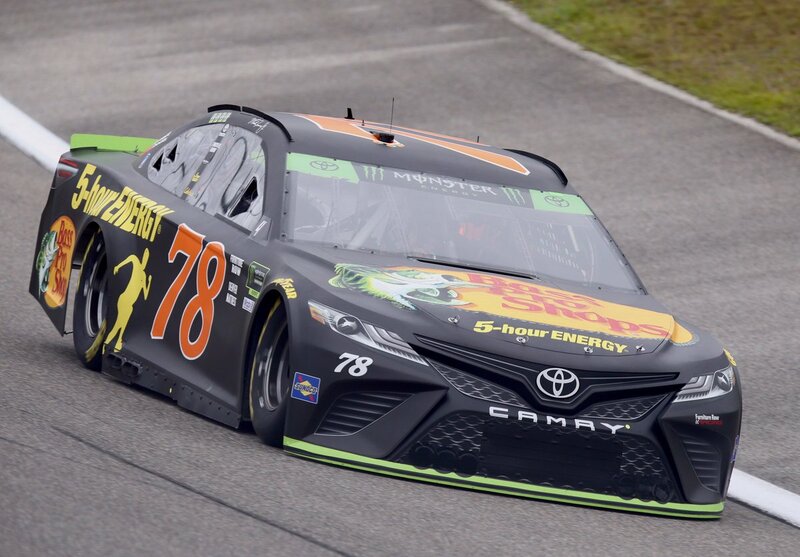 Martin Truex Jr. #78 Bass Pro Shops Toyota Camry-It’s a smooth look with a great color scheme, and that will always earn an A.
Tanner Berryhill #97 Brand South Africa/Vroom! 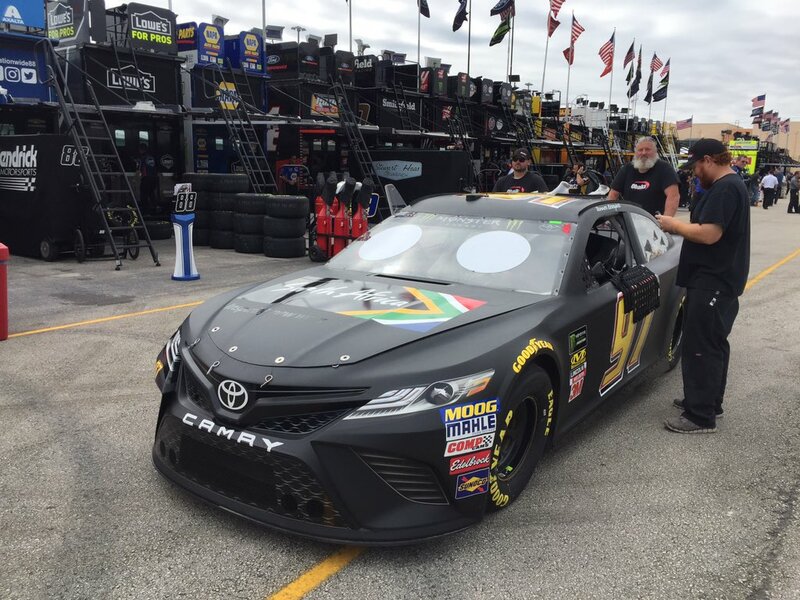 Brands Toyota Camry-It’s a smooth look with a great color scheme, and that will always earn an A.